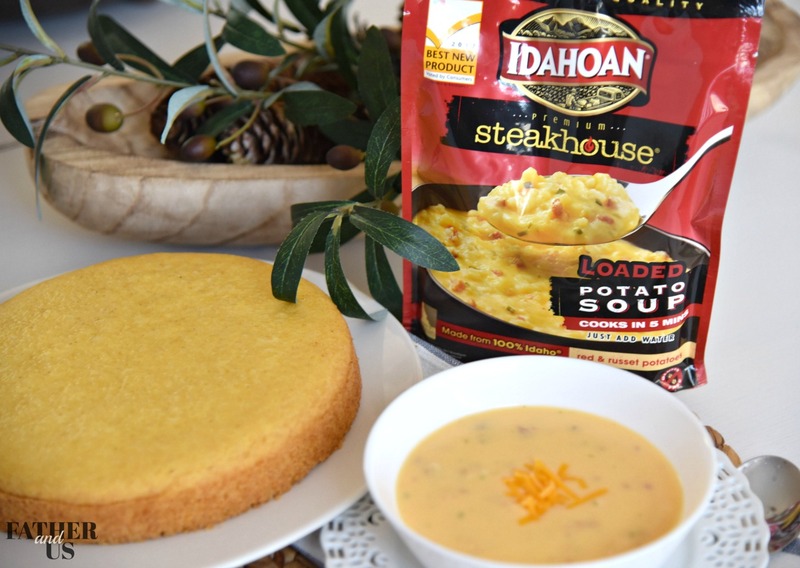 Comfort food has never been easier with Idahoan® Steakhouse® Soups and Instant Pot Cornbread. It may be cold outside, but now you can warm yourself up with the ultimate comfort food in minutes! I don’t know about you, but there is something about this time of year that just tires me to my core. The cold weather is one thing. But I live in the Midwest and it seems like we go for 2 months without seeing the sun. Honestly, I’d rather the snow and sun than 40 degrees with clouds and rain. I’ve been out to places in Colorado where, sure it’s cold and snowy, but there is sun! It just makes me exhausted and unmotivated. We are about to enter into February, my least favorite month of the year. It feels like we’ve already been in the winter forever but Spring still feels a long way away. It’s like the “Wednesday” of winter. So, I’m just trying to find anything that I can to keep my spirits up and my body warm. The good news is that one way I can keep my spirits up and my body warm is to eat some delicious comfort food. There is something about comfort food that can make you feel better no matter what is going on and can make you feel warmer no matter what the weather is. So, I’ve found some great comfort food recipes that taste fantastic and are also super easy to make. 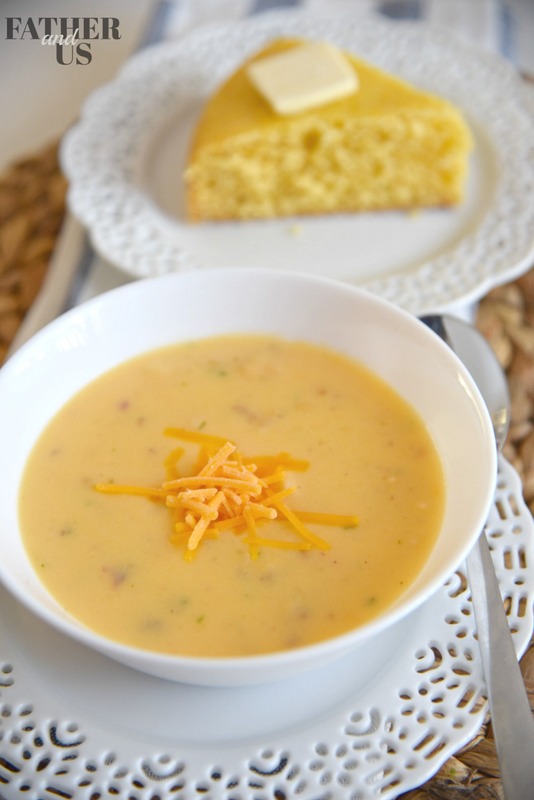 One recipe that I’d love to share with you is Loaded Potato Soup with Instant Pot Cornbread. Obviously, the key to making this recipe really worthwhile is to make sure you have a superior quality soup. I’ve got great news for you. You don’t need to slave away in the kitchen all day or go to a fancy restaurant to enjoy some really great soup. I’ve recently had the chance to try Idahoan Steakhouse Soups and this has really brought my comfort food to the next level. 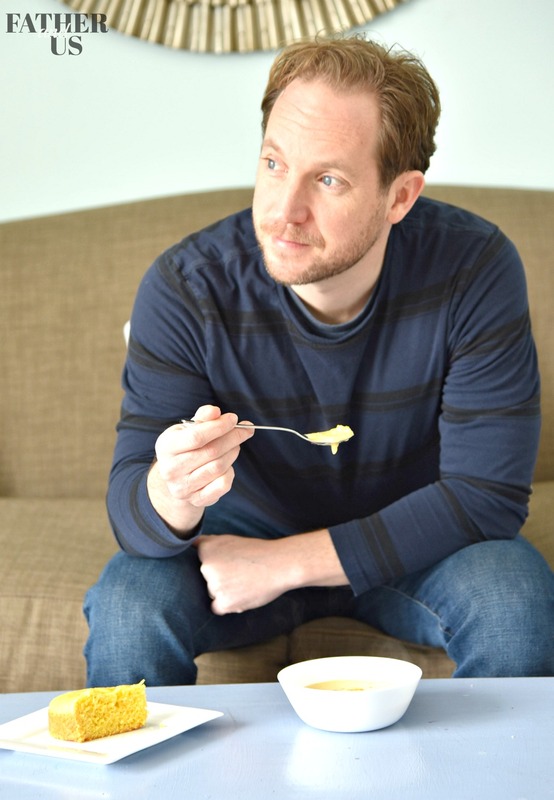 What really amazed me is that the Idahoan Steakhouse Soups are ready in just minutes. This is going to be the perfect thing to with my Instant Pot Cornbread Recipe. 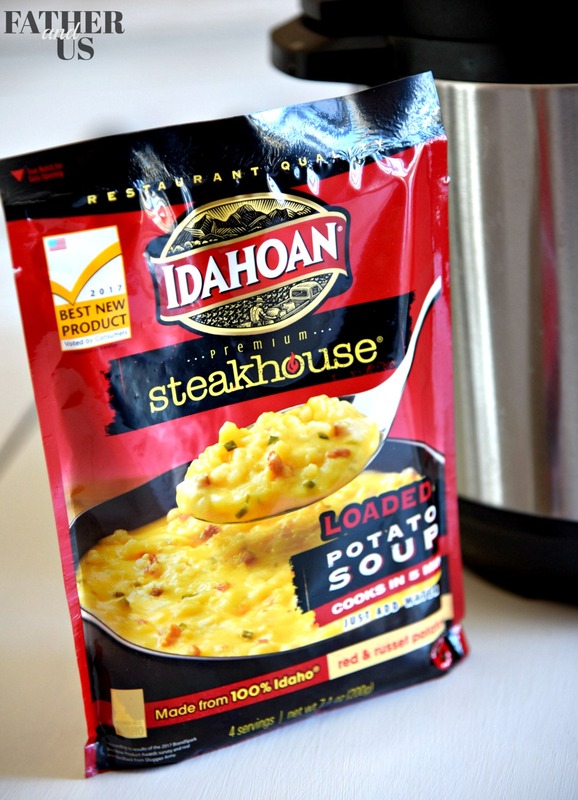 Idahoan Steakhouse soups are able to provide this superior quality by using real Idaho red and russet potatoes in their recipes. My wife is from Idaho and we travel there often. I know how seriously Idahoans take their potatoes! Along with the real potatoes, they make all this comfort so easy by adding flavorful seasonings and cheeses. All you need to do is add some water and you’ll have a rich, creamy and savory soup in just minutes. Yesterday, we had a wind chill that was -38 degrees outside! Both of our kids were home from school and this was a great time to try out our new soup. I just boiled 4 cups of water in a saucepan, mixed in the soup and cooked for 5 minutes. After letting it sit for another couple of minutes, it was ready to go! I love topping mine with some sharp cheddar cheese. But you could add some sour cream to it or some chopped green onions. The whole family really enjoyed it. The kids loved to dip their corn bread into it! Although it was a bit too cold to play out in the snow yesterday, this would be perfect for the kids on those snow covered days. They spend all day playing out in the backyard and when they finally come in, they are cold and hungry. The Idahoan Steakhouse Soups would warm them up in no time! 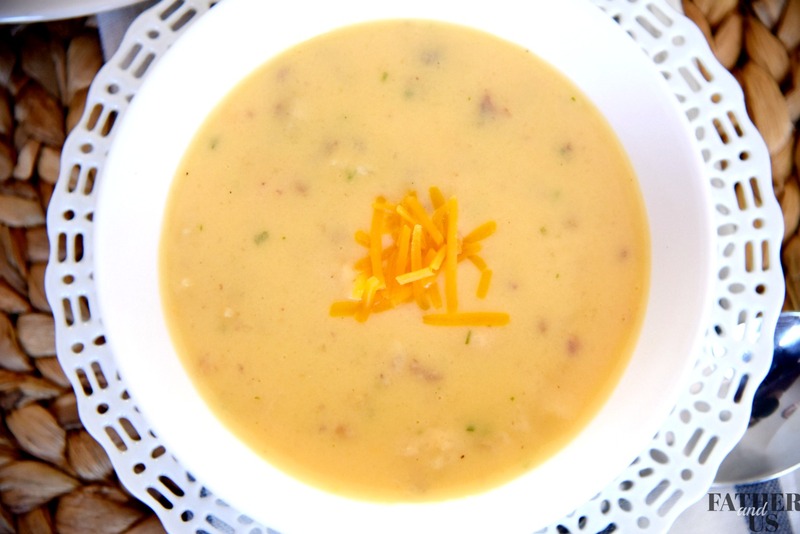 For my recipe, I used the Loaded Baked Potato Soup and it worked wonderfully. But there are many other great flavors, such as: Creamy Potato, Cheddar Broccoli and Cheddar Potato. There are certainly several different varieties of bread that would tastes wonderful with my Idahoan Steakhouse Soup. But this is a comfort food recipe, so I felt that Cornbread is definitely the way to go. About 1 year ago, we got an Instant Pot and have had a blast making all sort of things in it. But I hadn’t had the opportunity to make any sort of breads in the Instant Pot. So, I thought it would be a great idea to create an Instant Pot Cornbread Recipe to go with my Idahoan Steakhouse Soup. It turned out awesome. It was super moist and cooked perfectly in the Instant Pot. I’m not sure it was any easier than baking it in a traditional oven, but it really was delicious. And cooking it this way could be a great alternative if your oven is already being used for another dish. Instant Pots are also great to bring places where you don’t have an oven, like a camp site or tailgating. Scroll down to print out the recipe. Enjoy the rest of your winter and stay warm! 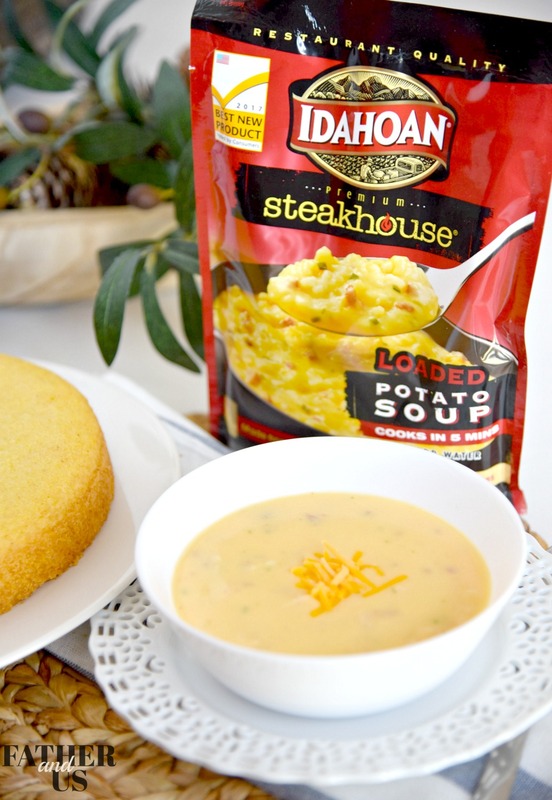 Comfort food has never been easier with Idahoan Steakhouse® Soups and Instant Pot Cornbread. In just minutes, you can warm yourself up from the cold outside. Mix Egg, Milk, Oil and Honey into a large bowl. Mix until well combined. Add all dry ingredients to the mixture: Cornmeal, sugar, salt, baking powder and flour. Pour into baking dish that has been sprayed with non-stick cooking spray. Make sure that your baking dish fits into your IP. Put a trivet at the bottom of your Instant Pot. Try to use a trivet with handles. If you don't have one, make a long piece of folded aluminum foil to create handles on each side of the pot. Cover the baking dish with a paper towel and wrap in aluminum foil. Cook in Instant Pot on High for 50 minutes. Quick release the steam and remove from device. Flip over the baking dish onto a cutting board so that your corn bread falls out.